UPDATE: DUE TO INCLEMENT WEATHER, THIS INFORMATION SESSION HAS BEEN RESCHEDULED FOR FEBRUARY 20TH. Please join us for an information meeting to learn more about our upcoming international program on Maya Art and Archaeology of Mexico (May 11-20, 2019). 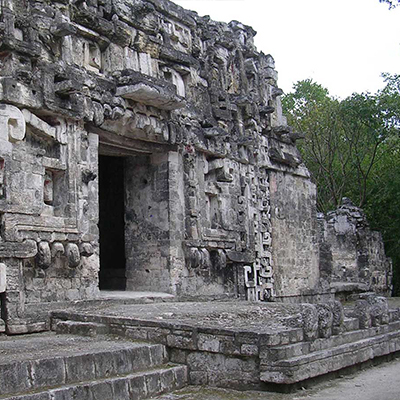 This non-credit/credit tour will lead participants to Mexico to visit ancient Maya archaeological sites and modern-day Maya communities. Dr. Margaret Jackson, Associate Professor of Pre-Colombian Art History, will co-lead alongside LAII staff, lending historical and sociocultural insights along the way. Please park in the Yale Parking Structure immediately across the street from the Institute. Cost is $1.00 per half hour. Please contact Robyn Côté at 505-277-6843 or rcote@unm.edu, or visit the program website.